KANSAS CITY, Mo. 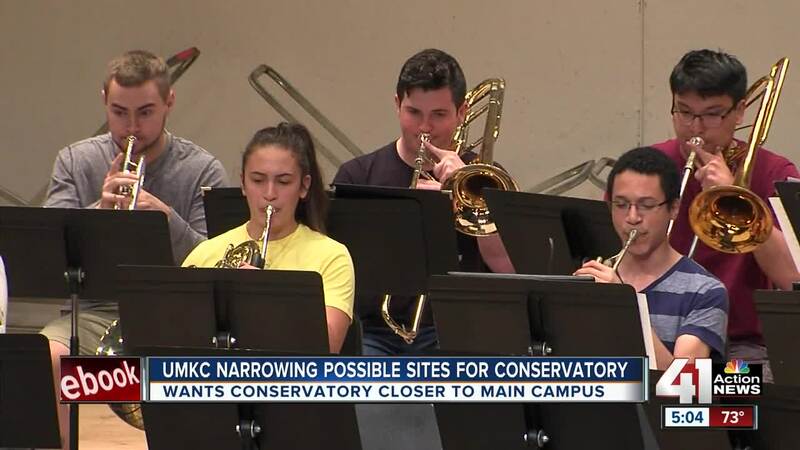 — The University of Missouri-Kansas City announced it will no longer build its conservatory downtown and instead will look at options closer to its Volker campus. The university wants those submitting proposals to select locations within 2.5 miles of the Olson Performing Arts Center. UMKC said the decision was made after conversations with faculty who wanted to be closer to the main campus. The announcement didn’t sit well with downtown officials. “I was definitely disappointed to hear the news that they are no longer looking downtown,” said Jared Campbell, president of the Downtown Neighborhood Association. Campbell thought a downtown spot would be ideal for the conservatory because of the surrounding arts centers like the Kauffman Center. “Obviously it would be great for downtown to have all of those students and faculty down here as well,” said Campbell. Some locations mentioned previously to house the conservatory were at 18th and Broadway and the Barney Allis Plaza. According to a tweet from City Manager Troy Schulte, the city will now try to replace all the parking and improve the Barney Allis Plaza as a community space. With the decision today regarding the @UMKCCons location, @kcmo will now proceed to issue an RFQ/P for the reconstruction of the Barney Allis Plaza and Garage. Goal would be to replace all parking and improve the Plaza as community gathering place. “We want to make sure that that top area becomes a great, almost signature green space for downtown and for the region,” said Campbell. But other spots like the old Westport High School are still in the running for the conservatory. The project is expected to cost around $100 million and bidders have until Sept. 18 to resubmit their proposals.